While many people are successfully treated by their GP or a psychologist for mental health conditions, it may sometimes be necessary to receive psychiatric treatment in a hospital or stand alone unit setting. If this is the case for you, you may worry about how the costs will be met and whether health insurance cover can help you out with this. Who Is Likely to Have Psychiatric Hospital Treatment? The aim will usually be to treat you outside of hospital. This means that in-hospital treatment for a mental health condition is usually only discussed if you need in-depth treatment and support for your recovery. Most people recover a lot better with community support so the focus is on helping you to go back to this once you are out of hospital. Will Health Insurance Help With the Costs? Psychiatric treatment in a public hospital is not often readily accessible. A lack of funding means that these hospital units are often full, with large waiting lists. Private psychiatric hospital treatment can be expensive Fortunately, private Hospital cover can reduce the financial burden. Having Hospital cover that includes Psychiatric benefits can go a long way towards reducing or avoiding the potential for out-of-pocket costs though . 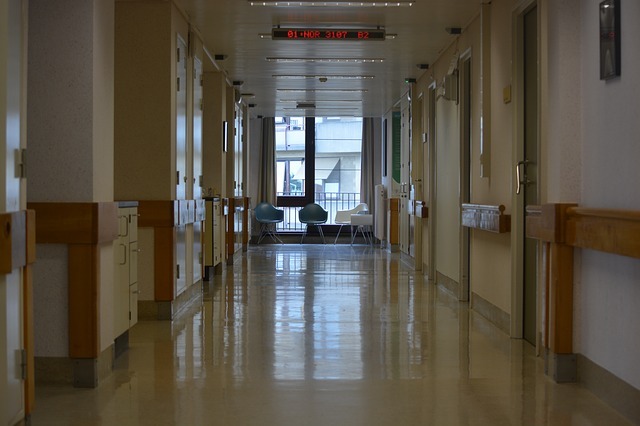 A Hospital policy with Psychiatric benefits may cover some or all of the costs for hospital accommodation and doctors/specialists fees in a psychiatric hospital or unit. You’ll probably be treated by a range of health professionals during your stay, all of whom will have their own fees to be factored in. Your policy may also dictate how long you can stay in hospital for without incurring out of pocket expenses that aren’t included in your cover. Psychiatric services are not available on all levels of Hospital cover, and a lot of basic and mid level policies restrict them or completely exclude them. This either means that you won’t be fully covered or that you won’t be covered at all and will need to pay out of your own pocket. Psychiatric services are more likely to be fully covered on top level Hospital policies but a lot will depend on the health fund. Shop around and compare your options if you are concerned that you may need to access psychiatric treatment in the future. If you already have an existing health insurance policy that offers little or no cover for Psychiatric benefits, you may want to upgrade to a higher level of cover or switch health funds altogether. Even where Psychiatric services are fully covered on Hospital cover, there may be some less obvious restrictions. Some health funds require you to use a hospital with whom they have an agreement or contract so this is something to keep in mind. If you already have health insurance, check the finer details and see what the situation would be if you were to need psychiatric treatment. There is a 2 month waiting period for in- hospital Psychiatric services. This means that you’ll need to have held your Hospital cover for at least 2 months before you can claim for Psychiatric benefits. This waiting period is the same for pre-existing mental health conditions too. Ordinarily, pre-existing conditions are subject to a 12 month waiting period on Hospital cover but fortunately this is not the case for Psychiatric services. Hospital cover with Psychiatric benefits will only cover you for the in-hospital aspects of your treatment and won’t extend to outpatient checkups and consultations (which may be needed after you are discharged). If counselling and other psychological services are recommended as part of your ongoing treatment, Extras health insurance with Psychology benefits can cover some or all of the costs of this. Have you had to access hospital treatment with private health cover?